Cubot S350 is that phone you would be tempted to compare with devices like LG G3 as the screen size is at the phablet range of 5.5 inches; and it also has the same IPS LCD display technology found in both LG G3 and the almost high end Microsoft device – Nokia Lumia 830, but only at a fraction of the price of Kshs 15,000. A mid-range device with specs similar to Cubot S350 is Infinix Hot Note X551 that already broke the record for featuring the specs of high end smartphones but at low budget price point of Kshs 10,000 only. 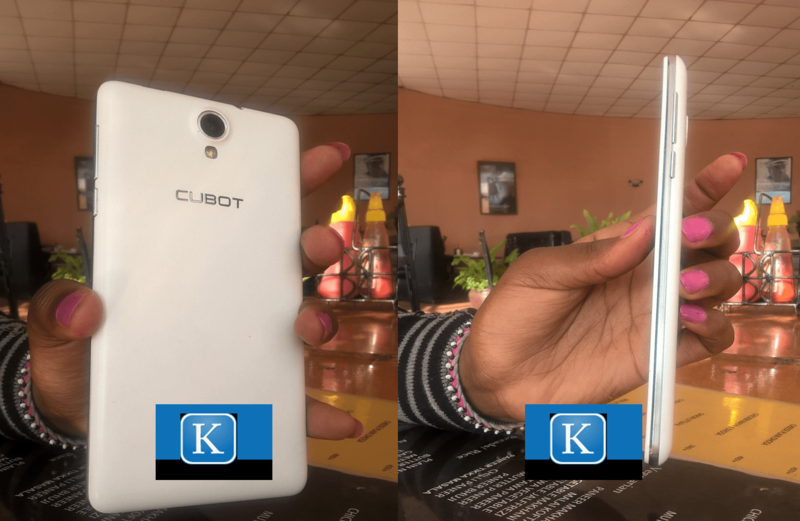 Cubot S350 is probably more pricey as it features a 13 MP rear camera and a whooping 8 MP front facing camera when the Hot Note has only an 8 MP rear camera and a mere 2 MP selfie camera. The Infinix hot phone also has 1 GB of RAM whereas the Cubot has double that at 2 GB RAM. When a phone like Cubot S350 features appetizing high end smartphone specs but costs a fraction (actually as less as a fifth), one is tempted to write it off as a phone with low quality highly compromised components. To verify this, I have been using the phone for the past one week and here is my finding. The phone is big, but not as big as the Samsung Galaxy Note series. To accommodate the 5.5 inches screen size, it measures 151.3 mm in length, 76.6 mm in width and slightly thick at 8.25 mm. The thickness increases tremendously when used with the leather cover that is part of the package. Woe unto you if you get the white variant and you live in a dusty place like Nakuru – you’ll be better off using the phone without the cover. In addition to the cover, the phone also comes with screen protector already installed. The protector scratches out in minutes so you’ll surely be tempted to remove it almost immediately, but I doubt if the glass is scratch resistant so I haven’t removed the protector thus far. I can’t tell if the glass is as scratch resistant as Corning Gorilla Glass 3 but I guess it is of the same quality as Corning Gorilla Glass 1. Samsung Galaxy S2 has Corning Gorilla Glass 1 so there is nothing much to worry about in screen protection. If given a choice between owning a 5.5 inch Cubot S350 and the smaller but slightly expensive Cubot X9, I would go for the S350 any time – reason being the Cubot S350 feels better in the hand; makes you feel more comfortable or even stronger. Maybe because it also weighs 172 grams. The advantage you’ll have by owning Cubot S350 is the screen technology. It has an improved LCD technology known as In-Place Switching or IPS. IPS is the technology developed to solve the main limitations of the twisted nematic field effect (TN) matrix LCDs. The limitations included strong viewing angle dependence and low-quality color reproduction. As already mentioned, the capacitive multitouch IPS screen is the same screen you would get from some high end devices like Nokia Lumia 830 and is still the one you’ll get in the mid range Microsoft Lumia 640. An even bigger advantage you’ll get from Cubot S350 is the 2 GB RAM. This is a RAM size that you won’t even find in the mid range Lumia 640 that goes for Shs 19,000. Not even the iPhone 6 has such a big RAM. The phone memory is also something you want to appreciate. When Lumia 640 wants to be conservative and give you only 8 GB of internal storage capacity with only 3 GB available for use, Cubot S350 offers the standard 16 GB with 12 GB available for use. The most beautiful part of Cubot S350 is the cameras. You probably have never heard of a phone with an 8 MP front facing camera; hear it here – first. Cubot S350 front facing camera has whooping 8 MP lens. Let me set the record straight – the lens is actually a 5 MP but the camera’s software has what is called interpolation – that ability to add soft pixels during image processing with which Cubot S350 is able to make a 5 MP image become an 8 MP image, and it works. I put the camera to test and I was impressed with what it produced. 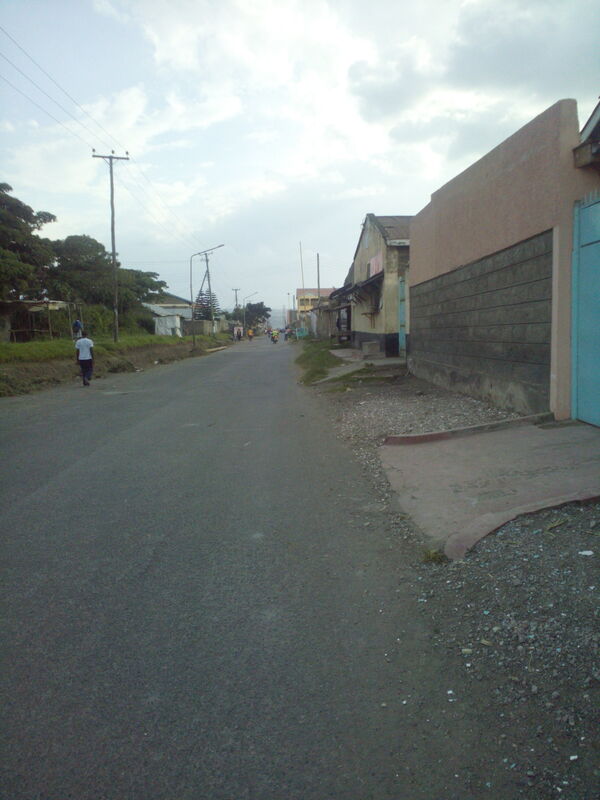 Below is a picture of a street in Racecourse Nakuru taken by the front camera. The rear camera has 13 MP lens and it is quite powerful, delivering clarity as one would expect. The problem with the cameras is that they have this unpleasant shutter sound that would always regret for not turning off. Then it’s loud even in low media volume. The trick around it is to take photos in silent mode, always. 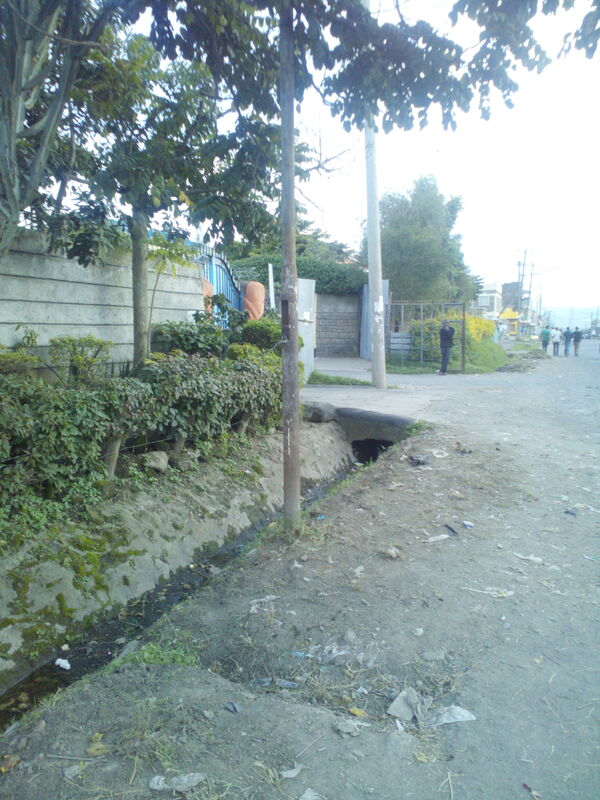 Here is an image by the 13 MP rear camera. Cubot S350 features a MediaTek 1.3 GHz MT6582M Quad-core processor. The processor is old school but performs as it should. The fact that is is an old school processor shouldn’t bother you – not only because Apps including heavy gaming will run smoothly, but because that’s the underlying reason for its low cost of Kshs 15,000. The phone also features dual SIM capability where one SIM slot requires the standard size SIM card we were all used to before smartphones came along, and the other SIM slot requires a micro SIM – so don’t rush to have both of your SIM cards cut. Then there is the let down, the battery. You would think that if Infinix was able to fix a 4000 mAh battery that can run the Infinix Hote Note for two days Cubot would have the same, but no, Cubot S350 comes with a disappointing 2350 mAh battery that’s not even good for 5 inch displays. In today’s standards, phones that have hit 5 inches and above cannot feature a battery with less than 2500 mAh batter capacity. To make it worse, Cubot S350 is not running on the lenient Windows but on the power hungry Android Kit Kat. The only thing you’ll need to avoid is heavy browsing so that you charge the phone at least ones every day, otherwise you will have to charge it no less than twice as the battery cannot power the phone for more than six hours on a single charge. Despite the old school processor and the disappointing battery, the phone scores very highly on screen technology, physical size and the feel. Cubot S350 also has one of the best cameras for mid range smartphones and costs a budget friendly price of only Kshs 15,000.